Recent articles in the New York Times and The Nation have focused on efforts to resegregate schools in the South, by carving new predominantly white school districts out of larger county-wide school districts that are predominantly black and Hispanic. The articles examined a recent federal court decision that permitted the creation of the Gardendale School District near Birmingham, Alabama. The new district is 75% white, in a county school district that has a majority of black and Hispanic students. In 1954, the United States Supreme Court, in Brown vs. Board of Education, outlawed the creation of segregated school systems by law. While first efforts to combat segregation focused on legally created barriers to integration in the South, later, courts ordered busing to combat segregation in northern school districts, like Boston. These efforts were met with fierce resistance from parents who did not want their children to be bused to schools that had large minority student populations outside their neighborhoods . Resistance to school integration has been has been widespread. While legally created separate schools in the same school system for white and black students have been eliminated, opposition to efforts to combat segregation based on residential patterns has been widespread and largely successful. Today, the schools attended by black and Hispanic students typically have far higher concentrations of minority students than those attended by white students. While segregation in the South was the result of laws that created separate school systems for white and black students, today much of the segregation results from the concentration of black and Hispanic students in cities with majority black and Hispanic populations. In an earlier post, I examined the growth of segregation of black and Hispanic students in metropolitan areas in New York State. In this post, I compare the concentration of black and Hispanic students with white students in schools in cities and suburbs in New York metropolitan areas. 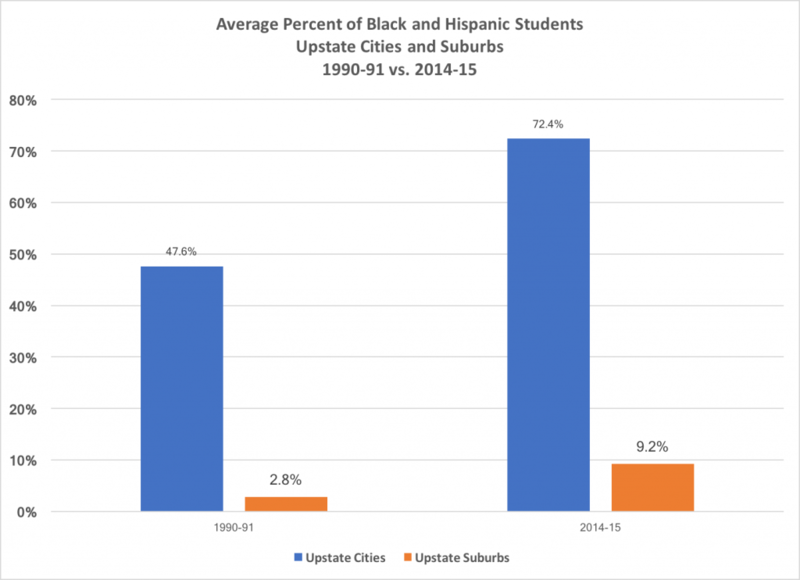 In upstate metropolitan areas, and in the suburbs in the New York metropolitan area, enrollments of black and Hispanic students have increased substantially between 1990-91 and 2014-15 – by more than 50,000 upstate and by 140,000 in the New York suburbs. Black student enrollments increased in upstate metropolitan areas grew by 23,000, while Hispanic enrollments grew by 32,000. In Westchester, Orange and Rockland counties in the New York metropolitan area, black student enrollments grew by 15,000 and Hispanic enrollments grew by 45,000. In New York City, black student enrollments decreased by 113,000 while Hispanic enrollments increased by 68,000. White student enrollments decreased significantly both upstate (by 125,000) and in the New York metropolitan area (by 113,000). Nationally, enrollments of black and Hispanic students increased by 7.4 million, between 1994 and 2014 (1990 data is not available) while white student enrollments decreased by 4.2 million. Overall, school enrollments increased in New York City and its suburbs between 1990-91 and 2014-15, while they decreased in upstate metropolitan areas. Nationally, enrollments increased 12.6% between 1995 and 2014. In percentage terms, school enrollments nationally were 49.2% white and 42.1% black and Hispanic in 2014-15. Upstate metropolitan areas (66.3% white) and New York City suburbs (55.2% white) had higher percentages of white student enrollments than the nation, while New York City had higher percentages of black and Hispanic students. National level data for 1990 showed a student population of 27.2% black and hispanic students, and 69.4% white students. By 2014-15 the composition of student populations in schools had changed significantly from the 1990’s, nationally, in upstate New York metropolitan areas and in the New York metropolitan area, with large increases in the percentage of black and Hispanic students. New York City was the only exception – black and Hispanic students decreased as a percentage of the total. I n cities in upstate metropolitan areas, black and Hispanic student populations grew substantially as a percentage of the total – by nearly 25% on average. Black and Hispanic student populations as a percentage of the total grew in suburbs as well, but the growth was much smaller – only 6.4% on average. In the Orange-Rockland-Westchester portion of the New York City metropolitan area, the growth of black and Hispanic students as a percentage of the total was about equal in cities and suburbs – 16% on average. Most upstate cities have student populations that are majority black and Hispanic, while most suburban areas in upstate metropolitan areas have student bodies that are less than 10% black and hispanic. On average, the gap in black and hispanic student percentages between upstate cities and suburbs grew from 44% to 63%. This section compares the racial and ethnic composition of schools attended by typical black and Hispanic students with those attended by white students in 2014-15. It does so by finding the percentage of black/Hispanic students at schools for a median student in each racial/ethnic group. 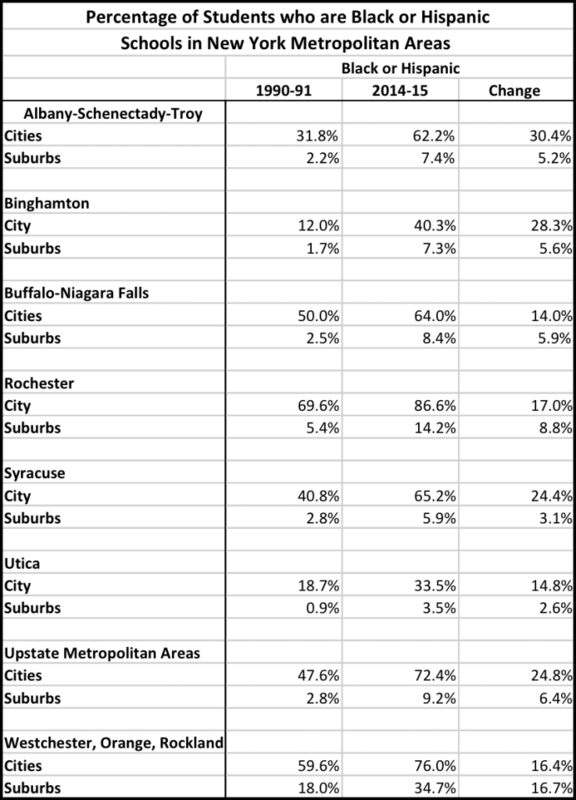 Computing the median involves sorting all the students in a group (black/Hispanic or white) in a metropolitan area by the percentage of minority students in the schools that they attend, and finding the percentage of black/Hispanic students in the school attended by a student who is at the exact middle of the sort. Half of the white or Hispanic/black students would be attending schools with an equal or higher percentage of Hispanic/black students, while half would have an equal or lower percentage. The data shows that in both cities and suburbs upstate, black and Hispanic students typically attend schools with higher concentrations of black and Hispanic students than do white students. For example, in the Buffalo-Niagara Falls MSA, black and Hispanic students living in cities typically attend schools where 78% of the students are black or Hispanic. White students in those cities typically attend schools whose student bodies are 46% black – a difference of 32%. In other upstate Metropolitan areas, the concentration of black and Hispanic students in city schools ranges from no higher in the city of Binghamton to 20% higher in Utica-Rome. Within suburban school districts in New York’s metropolitan areas, black and Hispanic students typically attend schools that have higher percentages of black and Hispanic students. In the Rochester metropolitan area, black and Hispanic students living outside Rochester typically attend schools with 24% black and Hispanic students, while white students typically attend schools with 9% black and Hispanic students. In other upstate metropolitan areas, the differences ranged from 2% to 11%. 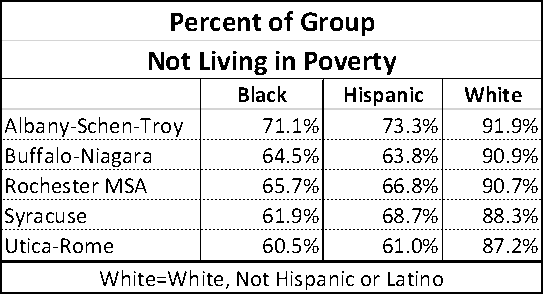 Since most black and Hispanic students in metropolitan areas live in cities, while most white students live outside them, it is useful to compare the percentage of black and Hispanic students in schools typically attended by black and Hispanic students in cities with the percentage of black and Hispanic students in schools attended by typical white students outside cities. Here, the contrast is stronger. For example, In the Albany-Schenectady-Troy metropolitan area, a typical black or Hispanic student living in a city would attended a school that had 67.5% black and Hispanic students. In contrast, typical white students living outside Albany, Schenectady and Troy attended schools that had 5.1% black and Hispanic students, a difference of 62.4%. Differences were large in other upstate metropolitan areas, as well. 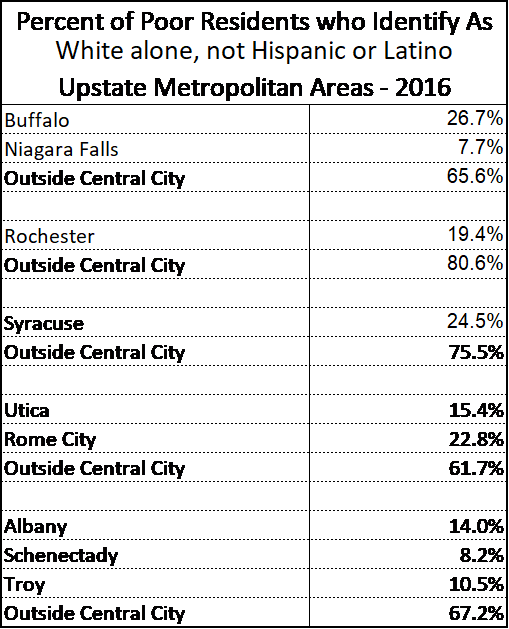 The difference in the percentage of black and Hispanic students in city schools attended by typical black and Hispanic students and schools outside cities attended by typical white students was 80.6% in the Rochester MSA, and 73% in the Buffalo-Niagara Falls MSA. Since the 1954 Brown vs. Board of Education Supreme Court decision, it has been illegal to maintain separate schools for minority students and white students in a school district. But, efforts to create racial balance in schools in cities and metropolitan areas in New York state and elsewhere have largely been unsuccessful. 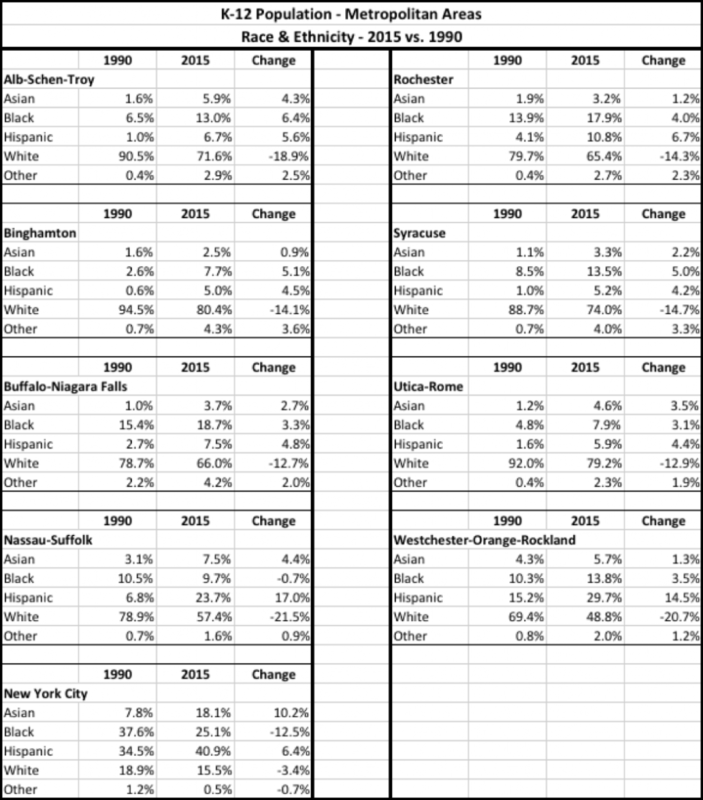 In fact, the data shows that over the past 25 years, changes in living patterns have seen large increases in black and Hispanic populations in central cities in New York state, but relatively little change in areas outside them. As a result, because school districts in New York State often follow city and town boundaries, black and Hispanic students are increasingly concentrated in city schools. School districts in cities in upstate metropolitan areas have seen substantial increases in the percentage of students who are black and Hispanic – from 47.6% to 72.4% between 1990-91 and 2014-15. In contrast outside Upstate cities, the average percentage of black and Hispanic students only grew from 2.8% to 9.2%. The increasing concentration of black and Hispanic students within cities is not the full explanation of their increasing segregation. Within cities and outside them, black and Hispanic students are likely to attend schools with higher percentages of black and Hispanic students than are whites. This is largely the result of residential housing segregation within communities in our metropolitan areas. 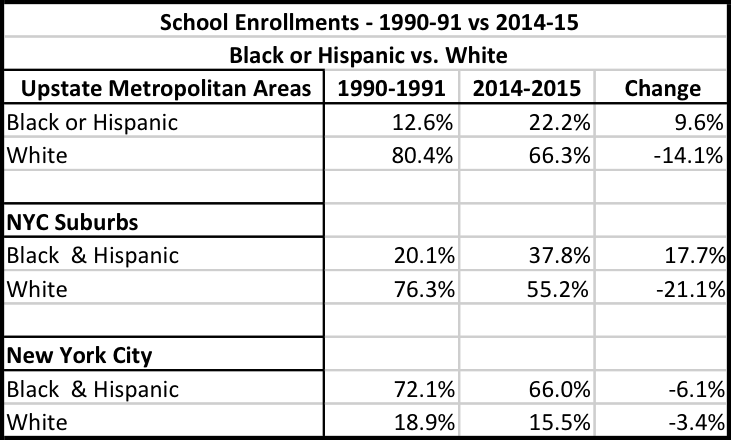 As a result, the difference between the racial and ethnic composition of schools typically attended by black and Hispanic students and white students has grown larger – in five of seven metropolitan areas typical black and Hispanic students attended schools that had 65% or more black and Hispanic students, while in five of seven metropolitan areas typical white students attended schools whose populations had 5.1% or less black and Hispanic students. Although there are significant potential benefits from schools that are more representative of the diversity of the population as a whole, the barriers to change are substantial. While New York state has not seen the creation of white enclave school districts carved out of larger majority minority districts, the existing structure of local school districts has a similar effect. There is no silver bullet that will remedy the growth of segregated schools in New York state, or elsewhere. Remedies tried in the past, like school busing, have been very unpopular, and have generally failed. Historically, federal housing policies in the 20th century supported racial segregation. Similarly, suburban zoning laws and resistance to low and moderate income multi-family housing continue to play a role in preventing minority residents from living in them. In the current political environment, with an administration in Washington, D. C. that is not supportive of federal intervention to promote integration, segregation in our schools is likely to continue to increase. Note: For the Orange-Rockland-Westchester portion of the New York City Metropolitan Area, cities are: Mount Vernon, New Rochelle, White Plains and Yonkers. Pew Research has been releasing a series of studies showing that the percentage of Americans who have middle class incomes has been declining. The most recent of these is America’s Shrinking Middle Class: A Close Look at Changes Within Metropolitan Areas. The report received extensive coverage in many newspapers, including the New York Times. It concluded that in nine of ten metropolitan areas, the middle class lost ground – from 61% of the population in 1971 to 49.5% in 2014. The Pew findings are a result of the widely reported increase in income inequality that has developed in the United States since about 1980. Source: Doug Short – U. S. Household Incomes: A 47 Year Perspective. 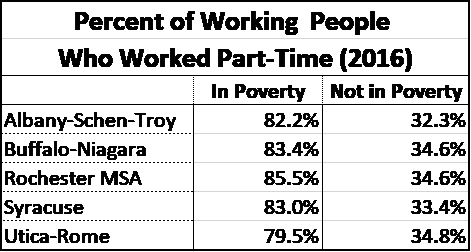 The data shows that income gains were concentrated among those with higher incomes. In fact, middle to low income households have seen no significant real (inflation adjusted) income gains since 1967. And, since 2000, real household incomes have stagnated at all levels. Because income gains between different income groups have diverged, the percentage of Americans who live in the middle class has declined. Pew found that in New York Sate, each metropolitan area studied saw a decline in the percentage of residents whose incomes were classified as middle class. For the purpose of their study, middle class was defined as the range between two thirds of the median household income and twice the median. 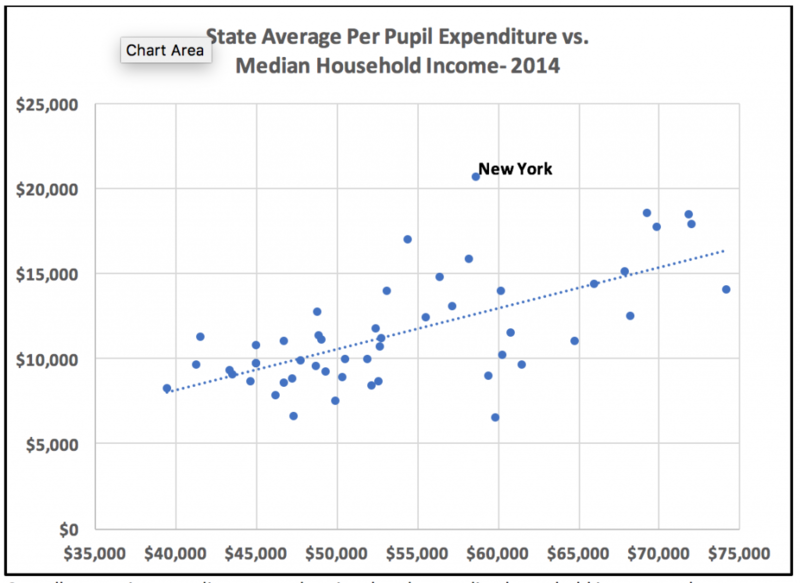 Albany-Schenectady-Troy showed the largest decrease- 5%. On average, the percentage or residents with middle class incomes decreased by 3.9%. 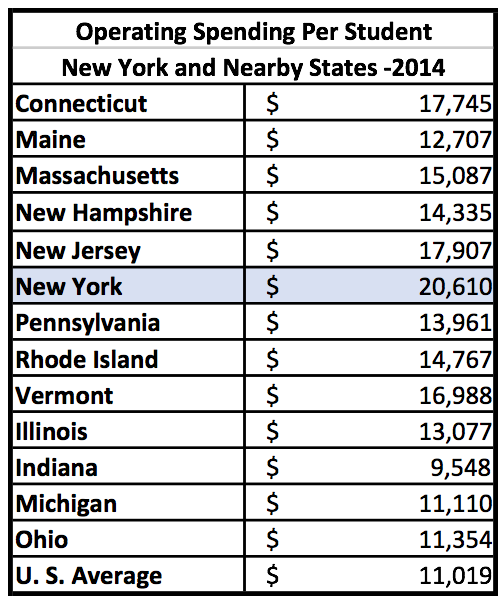 Five of the seven metropolitan areas saw increases in the percentage of residents with high incomes – Albany-Schenectady-Troy, Glens Falls, New York-Newark-Jersey City, Syracuse and Utica. Four of seven metropolitan areas saw increases in the percentage of low income residents, with Buffalo-Niagara Falls showing the largest increase – 8.3%. Source: Pew Research Center – America’s Shrinking Middle Class: A Close Look at Changes within Metropolitan Areas. The 3.9% average decrease in middle class residents in upstate metropolitan areas was very close to the 4% decrease that Pew found nationally. But the Pew data does not examine the way the increase in income inequality affects city residents compared to residents of suburban areas around them. This is a significant issue because cities in New York state have become increasingly separated economically from their suburbs. For example, in upstate New York in 1969, cities had rates of poverty that were only slightly higher than for the state as a whole. 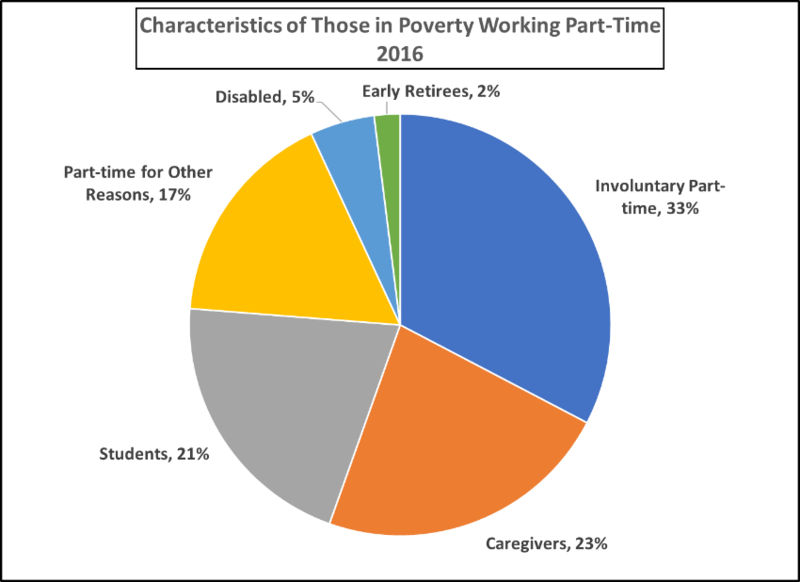 But, by 2013, most upstate cities had rates of poverty that were at least two times the state rate. (Data for cities with populations of less than 100,000 were not available for years before 1999). The same dynamic played out with respect to household incomes in cities and their suburbs. Between 1999 and 2014, the median inflation adjusted household income for residents of 14 New York cities declined, while those of households outside those cities in the counties within which they were located increased in all but two cases. Moreover, those cities with poorer populations saw greater income losses on average, while those suburbs with higher incomes saw larger income gains. 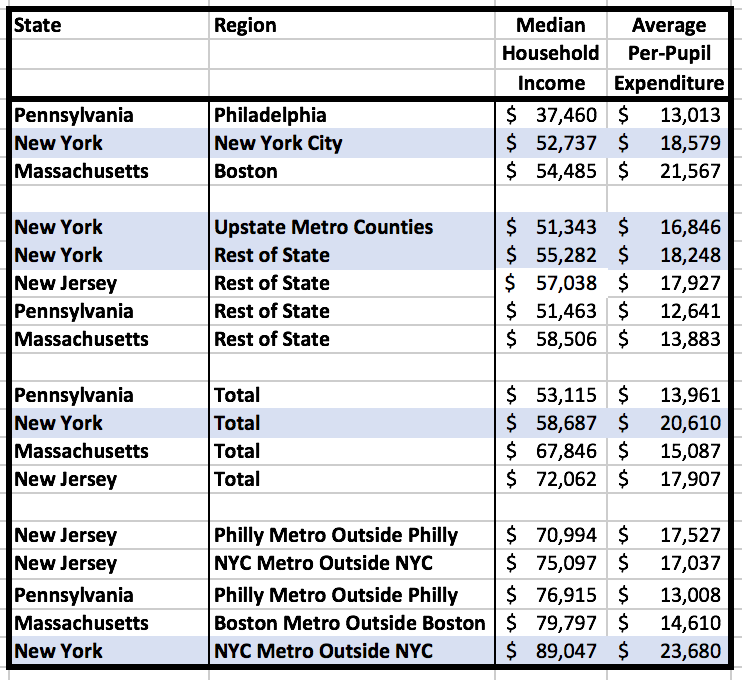 (Income adjusted by CPI-U for 1999 and 2014 – Northeast Urban Class B&C Metropolitan Areas). Several cities saw particularly large adjusted median income declines between 1999 and 2014. 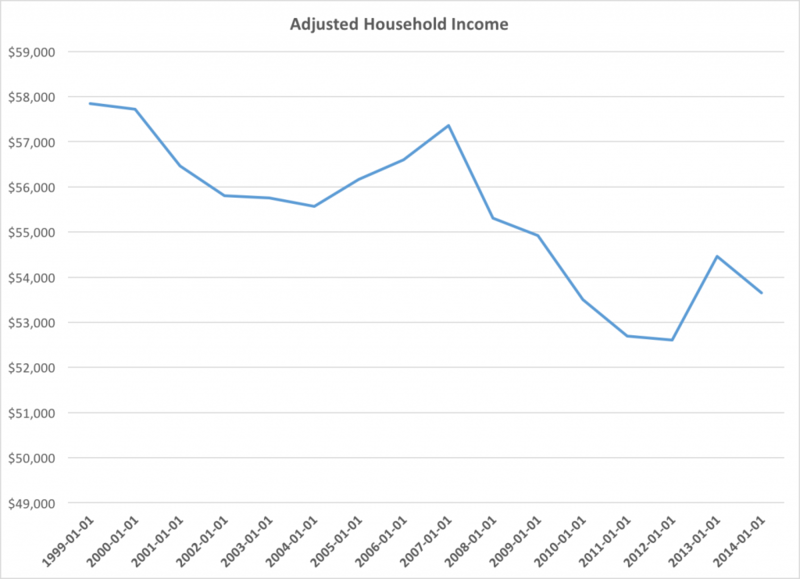 Adjusted household income declined by 23% in Elmira and Newburgh, and 20% in Rochester. Overall, households in poorer cities lost 15% of inflation adjusted income, while those in wealthier cities lost 9.2% of income between 1999 and 2014. In contrast, suburban areas saw gains, on average, with suburban areas around wealthier cities seeing increases of 6.3% on average, while those around poorer cities saw increases of 4.5% on average. Household income in suburbs outside Elmira increased by 13%, compared to the 23% decline in the city. In suburbs around Syracuse, adjusted household income increased by 10%, while in the city, it decreased by 9%. Chautauqua County outside Jamestown, Duchess County, outside Poughkeepsie, Monroe County, outside Rochester, and Ulster County outside Kingston saw declines in inflation adjusted median household income. But, even here, central cities far worse than suburbs. 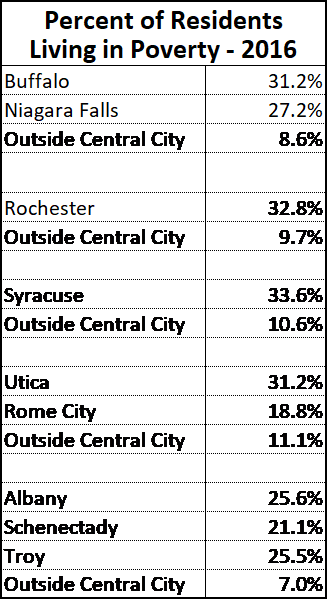 In Rochester, adjusted median household income declined by 20%, while Rochester suburbs decreased by 3.8%. In Poughkeepsie, real median household income declined by 11.4%, while in the rest of Dutchess County, median income declined by 3.5%. Jamestown saw a 15% decline, while the remainder of Chautauqua County saw a decrease of 2.3%. Three boroughs in New York City saw declines in inflation adjusted household income between 1999 and 2014 – Bronx with a decline of 15%, Queens with a decrease of 7.7% and Staten Island with a decrease of 7.9%. Manhattan saw an increase, while Brooklyn’s income was stable. Both cities and suburbs had smaller percentages of middle income residents in 2014 than in 1999, but started from different positions. In cities in 1999, on average only 43% of residents were middle class, compared with 55% in suburban areas. In 2014, 38% of city residents on average were middle class compared with 50% in suburbs. So, both cities and suburbs lost the same percentage of middle income residents. The decline of middle income households is a significant concern, but, even more significant are the overall growth of inequality, and the overall decline in real household income that has taken place this century. For the United States as a whole, by 2014, inflation adjusted median household income had decreased by 8% from 1999. While more recent data suggests that incomes have recovered since 2014, the lack of growth in median household incomes is a significant concern. But the impact of income stagnation has been unequal. The chart and table below show that the impact of recent income declines has been greatest on lower income groups. Because of the concentration of low income residents in cities, city households saw significant declines in inflation adjusted income over the past fifteen years – averaging a decrease of 12%, compared with an increase of 6% in suburban areas. As a result, the average difference in household incomes between cities and suburbs increased from 46% in 1999 to 74% in 2014. Our society has become increasingly divided economically over the past 35 years. More recently, the U. S. economy has not provided income growth for the country’s residents. In New York State, the impact of these changes has been significantly different for suburban residents, who have been largely insulated from these economic problems, and for city residents who have suffered from them. 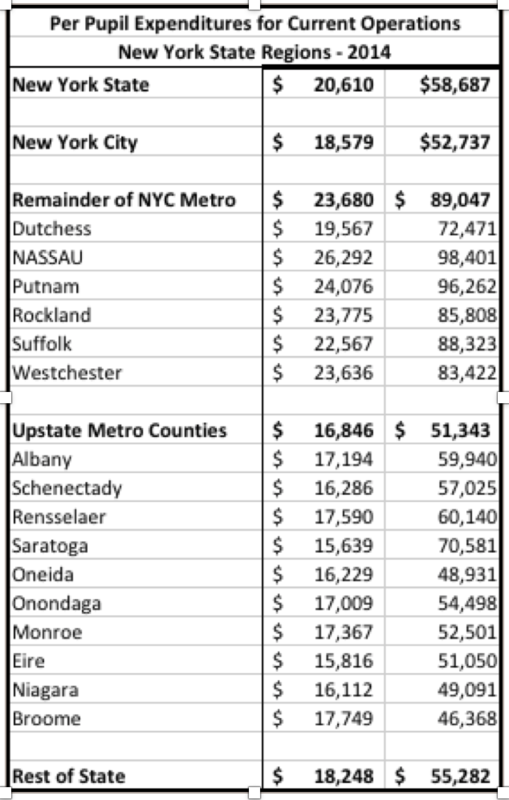 In my last posting I described income differences in 800 upstate metropolitan neighborhoods in Albany, Erie, Monroe, Oneida, Onondaga, Rensselaer and Schenectady Counties. The data comes from the United States Census Bureau which divides the nation into census tracts, the most detailed level publically tabulated. Overall, there are 73,000 census tracts nationally, averaging 4,200 residents each. 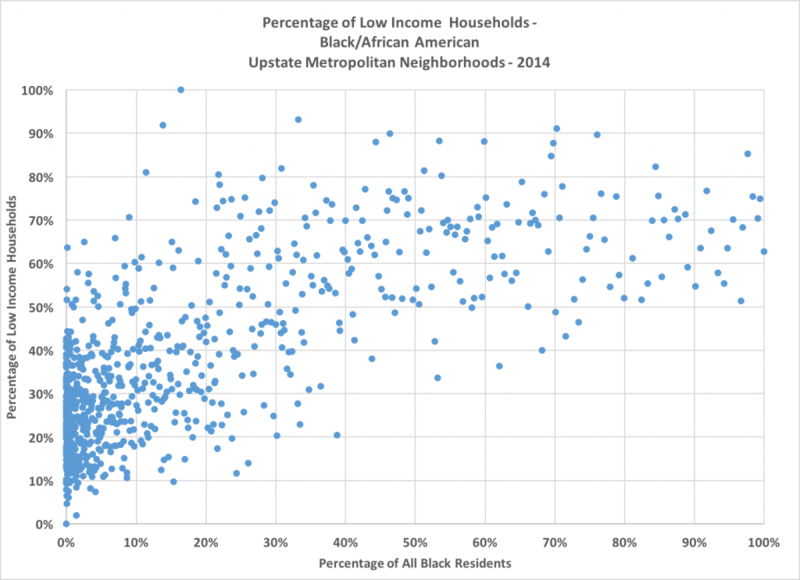 While there are significant differences in incomes, unemployment and poverty among upstate neighborhoods, the differences in racial patterns, particularly between people identifying as black or African-American and those identifying as white are much stronger, and the racial differences are strongly related to neighborhood economic conditions. 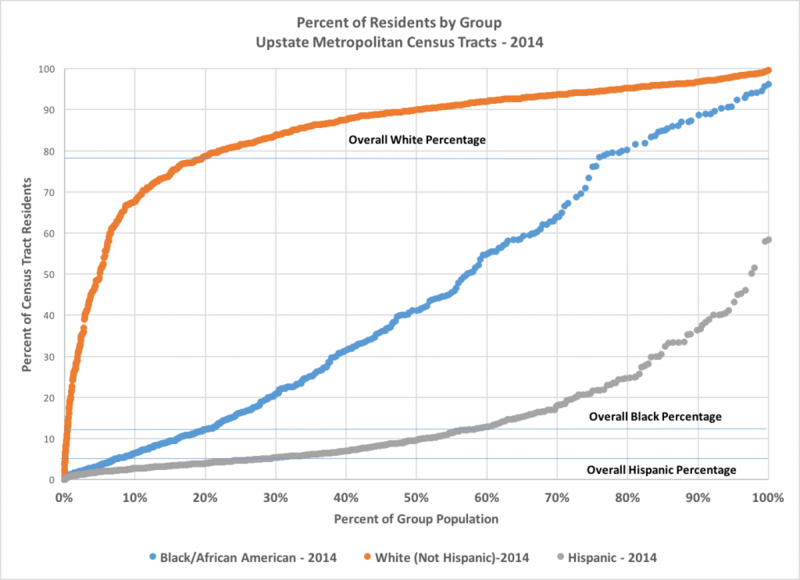 More than eight of every ten residents of neighborhoods with high concentrations of black residents identify as black or African-American, even though only 12% of all residents of upstate metropolitan census tracts were black. Residents in typical neighborhoods with high concentrations of black residents had very few residents identified as white, not Hispanic – only eight in one hundred. About five percent of residents with high concentrations of black residents identify as Hispanic, about the same percentage as upstate urban neighborhoods, overall. When average concentration neighborhoods are added to the picture, 70% of residents live in neighborhoods that average 50% black or African-American. These neighborhoods have concentrations of black residents that are more than four times the average for all upstate neighborhoods. When combined with those who identify as Hispanics, people who live in neighborhoods that have average concentrations of black/African-American residents are more than 60% minority residents. Note that the income, unemployment and poverty levels of neighborhoods that had average levels of black residents were only slightly better than those of neighborhoods with high levels. For neighborhoods with high and average concentrations of black residents, mean household incomes in 2014 were only slightly higher ($40,176) than those for residents of neighborhoods with high concentrations of black residents ($37,238). In neighborhoods with high concentrations of black residents, 64% of households had low incomes – almost as high a percentage as was found in neighborhoods with high concentrations of low income residents. About three in ten residents of these neighborhoods had middle incomes, while about 5% had high incomes. Typical residents of neighborhoods with high concentrations of black residents, had incomes of $37,200 in 2014, only slightly higher than the average income in neighborhoods with high concentrations of low income residents. Similarly, the concentration of poverty in neighborhoods with high concentrations of black residents averaged 37%, like that of low income neighborhoods, which averaged 37%. Unemployment among residents of neighborhoods with high concentrations of black residents was nearly 20% in 2014, the highest of any of the groups in this analysis. Only 5.5% of residents of upstate metropolitan census tracts are of Hispanic descent. So, even in those places where there are relatively high Hispanic concentrations, they make up only a minority of residents. In the neighborhoods with the highest concentrations of Hispanic residents, on average 30% of residents were Hispanic, compared with 36% Black/African-American and 27.5% White (not Hispanic). Like people who identify as Black/African American, Hispanic households most often have low incomes (66%). 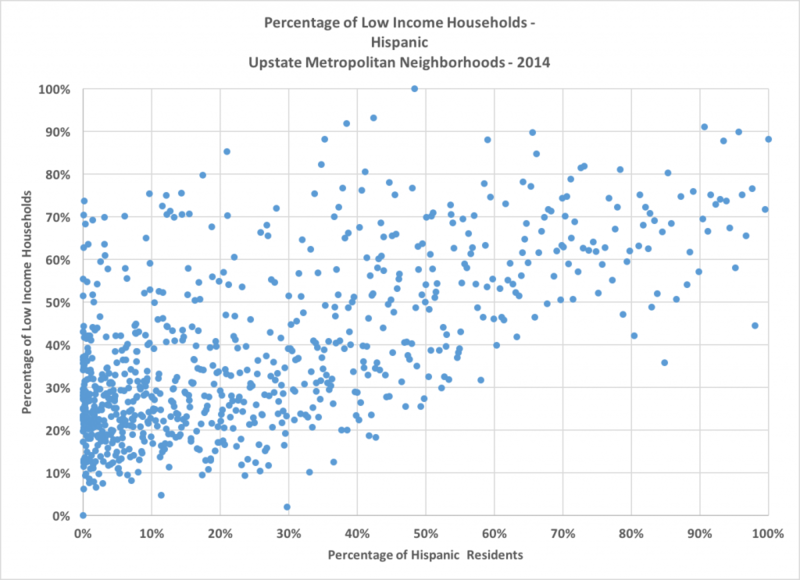 About 30% of Hispanic households in upstate urban areas are middle income, while 4% are high income households. When neighborhoods including high and average concentrations of Hispanics are combined – 70% of all Hispanics, their average income reached $49,642, lower than the average income of those who identify is white, not Hispanic, but higher than that of people who identify as black or African American (40,176). Neighborhoods with high concentrations of Hispanics had high levels of unemployment (18%). The concentration of poverty in neighborhoods with high concentrations of Hispanic residents (38.4%) was slightly higher than that of low income neighborhoods and those with high concentrations of black/African-American residents. Neighborhoods with high concentrations of white residents look very different from those with high concentrations of black or Hispanic residents, and from the average of all residents. Thirty percent of all white (non-Hispanic) residents live in neighborhoods that average 96% white, with less than one percent of black residents, and 1.5% of Hispanic residents. Overall, 77% of residents of upstate metropolitan areas are white, 12% are black and 5.5% Hispanic. They also differ significantly in their economic characteristics. About 75% of residents of neighborhoods with high concentrations of white residents have middle or high incomes. For black and Hispanic residents, the corresponding percentage is 35%. The median household income for neighborhoods with 70% of all white residents of upstate urban neighborhoods is more than $80,000, compared with $40,176 for neighborhoods with 70% of all black residents, and 49,642 for neighborhoods with 70% of Hispanic residents. 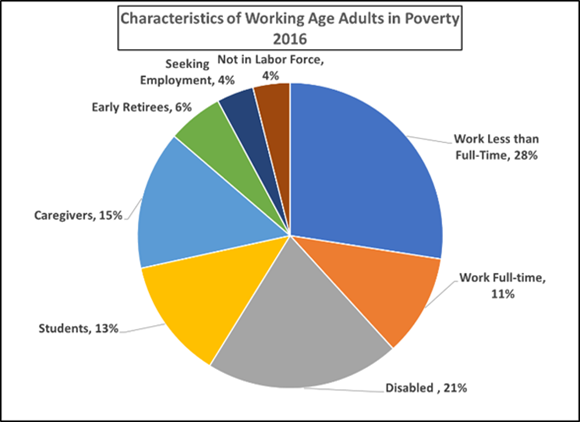 The average unemployment percentage in 2014 in neighborhoods with high concentrations of white residents was 6.3%, compared with 20% in black neighborhoods, and 18% in neighborhoods with high concentrations of Hispanic residents. Very few residents of neighborhoods with high concentrations of white residents lived in poverty in 2014 – 4%. For black neighborhoods, the percentage was 34% and for neighborhoods with high concentrations of Hispanics, the percentage was 38%. Chart one shows that blacks and Hispanics are particularly overrepresented in the upstate metropolitan neighborhoods where they lived in 2014. 65% of blacks lived in neighborhoods with more than twice the overall percentage of blacks in upstate metropolitan counties. Forty percent of blacks live in neighborhoods with more than four times their overall percentage. Forty percent of Hispanics live in neighborhoods where they are more than twice their overall percentage in upstate metropolitan counties. 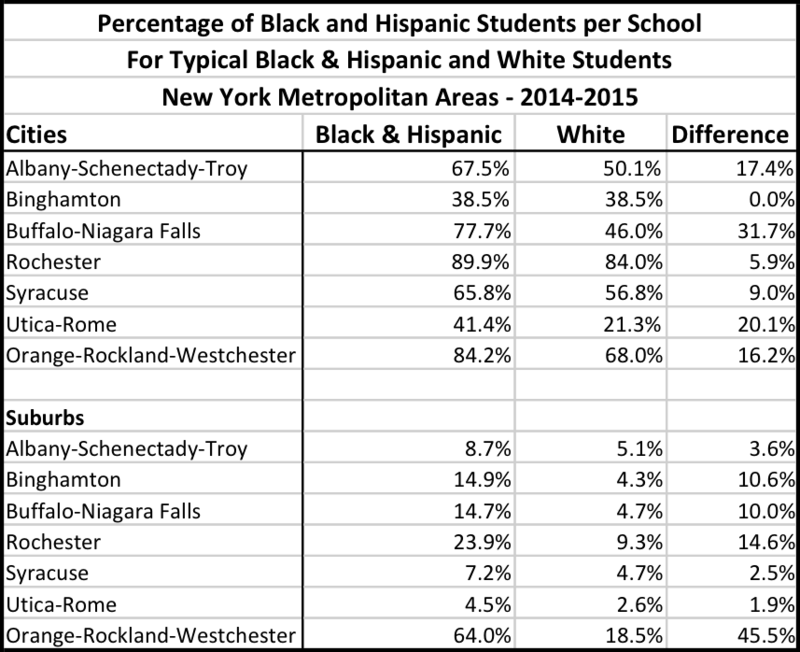 Chart two shows the concentration of the group populations in each census tract, sorted by the concentration of group population. It shows that black and Hispanic populations are far more concentrated than low income, high income and white populations. While most blacks and many hispanics live in neighborhoods with more than twice their overall concentration, almost all low and high income households live in neighborhoods that are less than twice as concentrated as the overall low and high income households in upstate metropolitan counties. In earlier posts, I pointed out disparities in poverty and income between upstate cities and their suburbs, and between white, black and Hispanic residents. This research extends the analysis to the neighborhood level, and shows that residents with low incomes, black and Hispanic residents are separated by neighborhood from a substantial majority of white residents. Most white residents live in neighborhoods that have fewer than 5% black and Hispanic residents. In contrast, 70% of all black residents live in neighborhoods that have more than 60% minority residents, despite the fact that blacks make up 12% of the population of upstate urban neighborhoods. Equally important, the economic conditions of neighborhoods with high concentrations of black and Hispanic residents closely resemble those of low income neighborhoods. 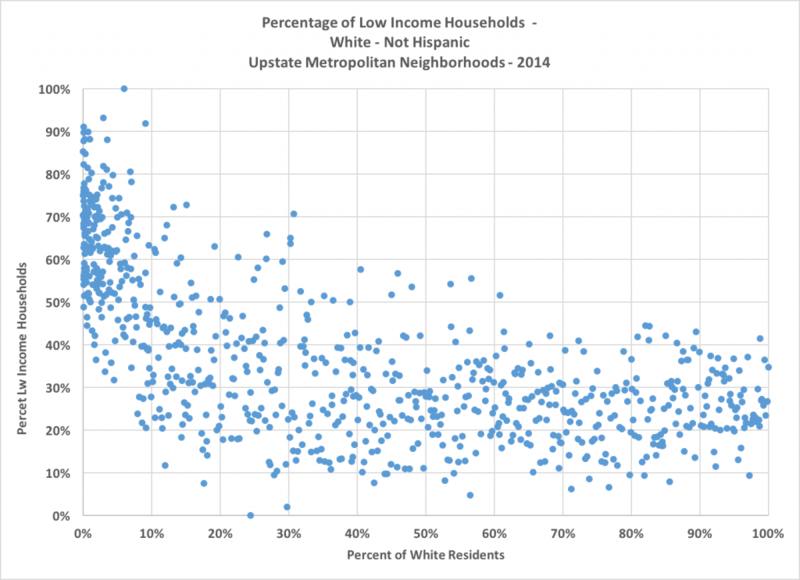 Black and Hispanic neighborhoods have percentages of low income residents, unemployment levels, and percentages of households in poverty that are very similar to poor upstate urban neighborhoods. The next post will provide some additional documentation of the economic differences between census tracts with high concentrations of minority group members and those which are primarily white. 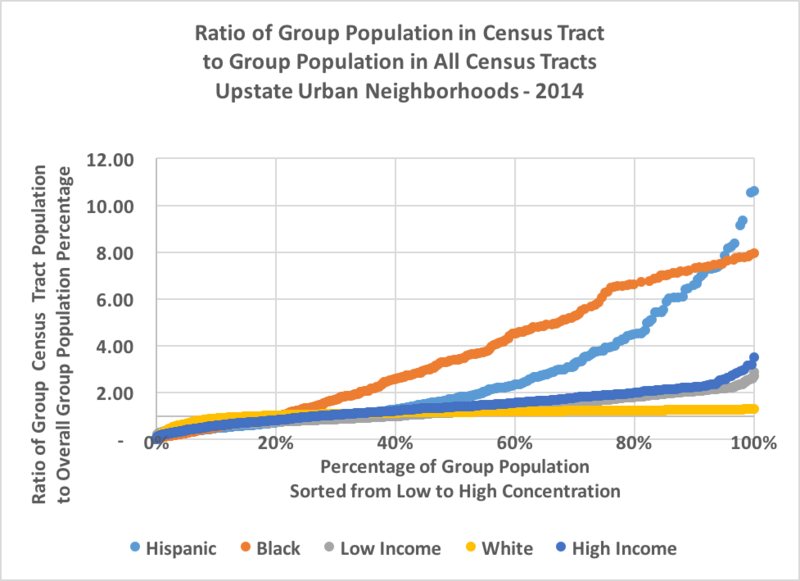 The fact that neighborhoods with high concentrations of black/African-American residents are more separated from neighborhoods with high concentrations of white residents than predominantly low income neighborhoods are separated from high income neighborhoods suggests the continuing need to address the racial separation of upstate residents as well as the prevalence of low income neighborhoods if upstate is to remove the barriers that separate its residents.